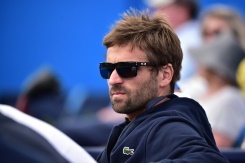 France’s former Davis Cup captain Arnaud Clement is suing the French tennis federation (FFT) for 1.5 million euros after he was sacked from the job in September, a legal source told AFP on Sunday. “Arnaud Clement has initiated proceedings…to resolve his disagreement with the federation,” the source said without elaborating on the details. Clement had one more year left on his contract when he was dismissed and the FFT proposed a 400,000-euro pay-off. During his three years in charge, Clement led France to the final in 2014 where they lost to Switzerland and two quarter-finals, in 2013 and 2015.